The Crisis of Unilateralism: The Reality in the Middle East Today. I am grateful to the organizers of the ‘Forum for a Just Peace in the Middle-East’ to have granted me the opportunity to partake in this Forum and to address this plenary session, held to deal with the Crisis of Unilateralism and its effects on the reality of the Middle-East today which has been to a great extent shaped by the unilateralist policies exercised by the foreign powers, who waged wars on the people of the region, occupied their lands, arbitrarily drew up their frontiers, divided the region and separated its people, thereby causing great suffering on the people of the Middle-East since the start of WWI in 1914. Indeed today, the Iraqi and the Palestinian people are facing wars of aggressions, occupations, confiscation of lands, killings, imprisonments, expulsions, immigration, ill-treatments and violations of human rights, which are products of unilateralism policies of the US, UK and Israel in Iraq and in Palestine. Unilateralism in the international relations is defined as “State policies or actions which have significant impacts on peoples in other states but undertaken by a single State without the mandate of bilateral or multilateral treaties or in violation or defiance or rejection of such treaties”. This is exactly what the US-UK have done when they declared war on Iraq on 19th March 2003. U.S. unilateralism started at the end of the Second World War when a group of Right Wing Christians and Zionist lobby groups in the U.S. managed to influence U.S. foreign policy, especially its policy regarding the Soviet Union, China and the Middle-East. U.S. unilateralism was conceived as the ideological basis for the Cold War and for the control of the oil reserves in the Middle-East with a self-righteous superpower leading subservient allies who did not have the means to resist it. It has continued after the end of the Cold War even as allies attempted to assert some independence with the disappearance of perceived Soviet threat. The huge power differential between the U.S. as the sole remaining superpower and the rest of the world gave the U.S. the opportunity to impose its hegemony in the Middle-East. It started directing its unilateralism on the Arab Gulf region, specifically towards Iraq, waging its war of aggression against the Iraqi people on 17th January 1991 “supposedly” to liberate Kuwait, then imposing genocidal economic sanctions during 13 years causing the deaths of over 1.5 million innocent Iraqis and causing the destruction of Iraq’s infrastructure and economy. As if the sufferings caused on the Iraqi people during these 13 years were not sufficient, a group of right wing extremists known as the ‘neo-conservatives’ who have close ties with the Israeli right wing Likud party, advocated regime change in Iraq and its partition into three states along ethnic and confessional lines in order to weaken the country, control its oil reserves and advance Israel’s plans and ambitions in the region. Already in 1997 the Zionist neocons Richard Perle, Douglas Feith and David Wurmser predicted in a paper that post Saddam-Iraq would be “ripped apart” by sectarianism and other cleavages but called on the U.S. to “expedite” such a collapse anyway. According to the Zionist neocon Daniel Pipes, “If Muslims are busy killing other Muslims, then “non-Muslims are less likely to be hurt”. In a piece in the Jerusalem Post he wrote: “ The bombing on February 22nd of the Askariya shrine in Samarra, Iraq, was a tragedy, but it was not an American or a coalition tragedy Iraq’s plight is neither a coalition responsibility nor a particular danger to the West. Fixing Iraq is neither the coalition’s responsibility, nor its burden. When Sunni terrorists target Shi’ites and vice-versa, non-Muslims are less likely to be hurt. Civil war in Iraq, in short, would be a humanitarian tragedy, but not a strategic one”. The US-UK have launched a war of aggression on Iraq on 19th March 2003, based on lies and distorted intelligence about Iraq’s WMD. The war on Iraq was illegal and there were no Weapons of Mass Destruction or any links to terrorist organisations. The occupation of Iraq by the US-UK is illegal and against the will of the Iraqi people. All Arabs, Muslims and fair minded freedom loving people support the Iraqi resistance. The U.S. and some of its allies describe them as ‘terrorists’. Not long ago, they described Nelson Mandela and his ANC colleagues as ‘terrorists’. Occupation is an ugly form of terrorism which must be fought by all legitimate means. The UN Charter legitimises resisting foreign occupation. During their wars of aggression the U.S. with their cluster bombings, use of napalm, white phosphorus and depleted uranium have contaminated the earth, water and air of Iraq. The depleted uranium will continue to kill innocent Iraqis for generations to come. Since the occupation hundreds of academics and scientists are being assassinated. This trend has forced many others to leave the country. People in Iraq suspect the Israeli secret service for the wave of assassinations of Iraqi intellectuals. The American Charles Duelfer, head of the Iraqi survey group said there had been a pool of weapons experts in Iraq, and added “while most would probably turn to the benign civil sector, the danger remained that hostile foreign governments, terrorists or insurgents may seek Iraqi expertise” (The Independent 24/04/05). The implication is that these experts must work for the western countries or be eliminated. Today, after four and a half years of US-UK occupation, the so-called ‘liberated’ Iraqis lack basic necessities such as electricity, potable water, hospitals, schools, oil, medicines, food, but above all they lack security. In fact, the majority of Iraqis are much worse off than under the previous regime even though it was functioning under severe economic sanctions imposed by the UN Security Council under the instigation of the US and UK mainly. The coalition troops together with their mercenaries have humiliated, tortured, maimed, raped, imprisoned and killed innocent civilians. They are committing war crimes and genocide on the people of Iraq in total impunity and without a condemnation by the United Nations. Through its deafening silence and inaction, the United Nations Security Council has failed to protect the Iraqi people, it has failed to condemn the U.S. and U.K. terrorist states’ pre-emptive war based on lies and it has allowed the U.S. and its accomplices to commit genocide in Iraq. Today, there is not a single family in Iraq which has not been affected by this illegal war and by the occupation of their country. There are tens of thousands of widows and hundreds of thousands of orphans who are struggling to survive under extremely dire conditions and their number increases day after day. Today, over 2.2 million Iraqis have been forced into exile by the violence and chaos that prevail in Iraq, they now live as refugees in Jordan, Syria and Turkey and over 2.3 millions are internally displaced, they all live in appalling conditions and they see no end to their misery. The occupation of Iraq since the 9th April 2003 by the US-UK forces as a consequence of an illegal war must be considered not only illegal but a crime against the Iraqi people and the international community can no longer remain silent, it must denounce, reject and strongly condemn this crime against Humanity. The US-UK-AU and all their accomplices who have participated in the destruction of Iraq’s civilian infrastructure and who have caused the death of over 1.200.000 innocent Iraqis since 2003, must be compelled to pay compensations to the Iraqi people. The UN must make mandatory US-UK reparations to Iraq, for the tragedy they have caused by waging an illegal and criminal war on this country to satisfy their imperialist ambitions and their insatiable greed for oil. Effects of U.K. and U.S. Unilateralism on the Turkmens of Iraq since World War I. 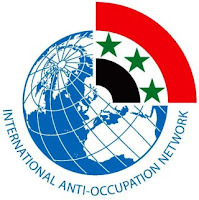 As an Iraqi Turkmen I would like to bring to your attention the plight of the 3 million Turkmens of Iraq who are not only the victims of US-UK imperialism but also of Kurdish hegemony in the north of Iraq since the 10th April 2003. The 3 million Turkmens of Iraq represent 12% of the Iraqi population; they have lived in Iraq for over a millennium. The last reliable census data from Iraq, gathered in 1957, identifies the Turkmens as the third largest ethnic group in Iraq. In the north of Iraq Turkmens represent the second main ethnic group. Iraqi Turkmens are the descendants of the Turkic Oghuz tribes of Central Asia who migrated in successive waves between the 7th and the 13th century to the west of their territories up to Anatolia and Mesopotamia (Iraq), they settled mainly in the northern and central regions of Iraq, in a diagonal strip of land stretching from the Syrian and Turkish border areas around the city of Tal Afar in the north-west of Iraq to the town of Mendeli on the Iranian border in Central Iraq, they are found principally in the following provinces: Kerkuk, Mosul, Erbil, Salah-al-Din, Diyala, Kut and Baghdad. Since many centuries the largest Turkmen population concentration is in the city of Kerkuk which is considered by the Iraqi Turkmens as their capital city and main cultural centre. The Turkmen region in Iraq, called TURKMENELI, lies between the region inhabited by Kurds in the north and the region inhabited by Arabs in the South. Turkmens have largely contributed to the political and cultural life in Iraq during the Abassids, Seljuks, Atabegs, etc. They established their own states and Emirates in Iraq and ruled the country or parts of it for nine centuries (from 1055 to 1918). Iraqi Turkmen communities rose to prominence as administrators, merchants and politicians in particular under the Ottoman Empire. The discrimination against the Turkmens in Iraq, their marginalization, the denial of their historical role and achievements in Iraq and the denial of their true representation as the third largest ethnic group in Iraq have been initiated by the British colonial authorities at the end of World War I in 1918, for geopolitical and economical reasons. The British purposely underestimated the number of Turkmens to facilitate the separation of ‘Mosul Vilayat’ or ‘Mosul Province’ (now representing five Iraqi provinces: Mosul, Kerkuk, Erbil, Duhok and Suleymaniya) from the Ottoman Empire (Turkey) in order to control the huge oil reserves of Kerkuk which was then mainly inhabited by Turkmens. Since Iraq became an independent state in 1921 the successive Iraqi governments have continued to undermine and marginalize the Turkmens for the same geopolitical and economical reasons. Under the previous regime the Turkmens have been victims of discrimination, deportation and property confiscation. Today, four and a half years after the invasion and the occupation of Iraq by the US-UK forces, the 3 million Turkmens of Iraq continue to suffer from discrimination, marginalisation, ill-treatment and basic human rights violations and their ordeal continues as they are caught between hammer and anvil. Indeed, the Turkmens continue to be constitutionally discriminated, institutionally marginalized and ill-treated as a community in Iraq by the political parties, who have been promoted and brought into power by the occupation forces. The Kurdish political parties and their allies, who are dominating Iraqi politics since the occupation of the country in April 2003, have agreed – for strictly partisan reasons – to continue suppressing the Turkmens’ rights and their true representation in Iraq. They continue denying the Turkmens the constitutional rights to be recognised as a main community of the country with rights equal to those granted to the Arabs and the Kurds in the new constitution of Iraq. Since the occupation of Iraq in April 2003 the foreign occupation authorities administered the country by decree then by a “Provisional Administration Law” which was not approved by the Iraqi people. It became a Constitutional Law on 15th October 2005. The contents and approval method of this Constitutional Law are debatable. The mistakes which had been made in the Provisional Administration Law regarding the Turkmens have been repeated in the new “permanent” constitution and the rights of the Turkmens continue to be openly usurped. The Turkmens reject the new regime’s discriminatory policy, they have called for the boycott of the parliamentary elections under the occupation, and they have called to vote against the new constitution written under the occupation. 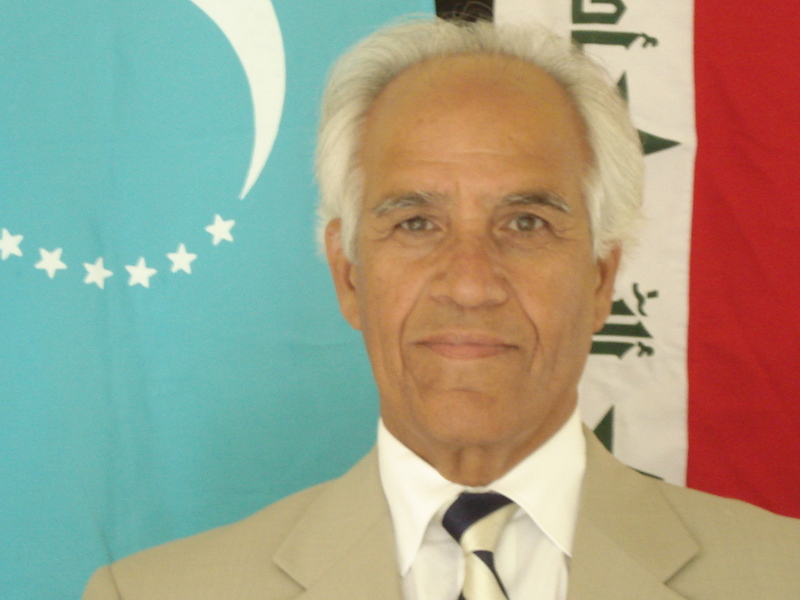 For all the above mentioned reasons the Turkmens have persistently called for the revision of the new Iraqi Constitution in order to obtain the constitutional rights for their community to be recognised as the third main community of Iraq as well as for the recognition of the Turkmen citizens’ basic human rights in Iraq as citizens of a multi-ethnic country with rights equal to those recognised to the Arabs and the Kurds. The Turkmens, in addition to their share of misery and humiliation resulting from the foreign occupation of Iraq, also suffer since this occupation and because of it from the Kurdish hegemony in the north of Iraq and from the occupation and kurdification of their towns and cities by the Kurdish militias who are behaving as conquerors. In order to change the demographics of Kerkuk in view of the upcoming census and referendum called for by Article 140 of the new constitution, the Kurdish political parties of Messrs Talabani and Barzani have organized the transport of over 600.000 Kurds from the Kurdish autonomous region as well as from neighbouring Syria, Turkey and Iran to Kerkuk. These ‘newly arrived Kurds’ have been given financial support and incentives, they have been issued forged identification cards and documents showing them as Kurds originally from Kerkuk who had been forcefully displaced by the former regime. I would like to point out that the Swedish authorities have accused the Iraqi Embassy in Stockholm early this year of having issued some 26. 000 forged Iraqi passport to citizens from Syria, Turkey and Iran, similar accusations have been made in Vienna, Damascus, etc. These cheatings and falsifications of the official records concerning the forcibly displaced Kurds from Kerkuk and the issuing of forged identification cards to these 600.000 Kurds newly installed in Kerkuk have been facilitated by the fact that the Kurdish militias (Peshmerga) looted the Population and the Property Registration Offices of Kerkuk and confiscated the archives and records on the first day they entered and occupied Kerkuk on the 10th April 2003, one day after the occupation of Baghdad, with the blessings of the U.S. occupier and as a reward for their collaboration during the invasion of Iraq. – according to the ration card data base, considered by the United Nations to be a reliable source for information on the Iraqi population, some 12.000 families (Turkmens and Kurds) were expelled from Kerkuk under the previous regime, one third being Turkmens. – until April 10, 2003, Kerkuk had 810.000 inhabitants and that today, after four and a half years of Kurdish control over Kerkuk its population is estimated to be over 1.5 million inhabitants, and that ALL the newcomers are Kurds. Today, citing ‘Article 140’ of the constitution, the Kurds insist to start the ‘normalization process’ in Kerkuk Province. But their interpretation of ‘normalization’ is to establish Kurdish hegemony in a region of Iraq which is inhabited by Turkmens, Arabs and Kurds and which has never been part of ‘Kurdistan’. This is in order to implement the American-Israeli plan to divide Iraq in three regions, it has nothing to do with democracy or justice, it is simply a way to steal Iraq’s oil from the Iraqi people by allowing their Kurdish ‘allies’ to annex Kerkuk to the Kurdish Autonomous Region, and subsequently proclaim their independence, in view of the creation of a “Greater Kurdistan”, following the example of the Zionists plans for a “Greater Israel”. These unfair and illegal methods practiced by the Kurds in Kerkuk will lead to disaster if they are not stopped and remedied before a census which will decide on the fate of the city. It should also be noted that the CIA and the U.S. Special Forces armed and supported thousands of Kurdish Peshmerga troops to fight against the Iraqi forces in 2003 and that British Special Forces and the Israeli Mossad are training the Kurdish commandos in the north of Iraq. Turkmens are constantly targeted in Iraq by the Kurdish militias, by the militias belonging to some extremist parties, by foreign terrorist groups operating in the north of Iraq and by the U.S. occupation forces. They have suffered a great number of casualties as a consequence of attacks on their community in Amirli, Altun Kopru, Beshir, Kerkuk, Tavik, Taza, Telafer, Tisin, Tuz Hurmato, etc. Furthermore, in order to silence them the Turkmens are now being subjected to death threats, property and land confiscations, imprisonment, torture, kidnappings and assassinations. Hundreds of Turkmens have been arrested and thousands of them have been killed. Turkmens are the only community in Iraq which does not have weapons and militias; they are seeking to obtain their rights by democratic and peaceful means, but because they do not have militias they are very vulnerable and the existence of their community is contested and its future in Iraq is seriously endangered. As true Iraqi patriots the Turkmens are strongly opposed to the balkanisation of Iraq, they consider that the disputed city of Kerkuk should have a special status, as the fate of the city is vital for all of Iraq and a planned referendum on its status should be held across the country, not in Kerkuk only as intended now. The Turkmens declare that Kerkuk is an Iraqi city and all the people of Iraq should decide on its fate. A referendum to be held only in Kerkuk would not be acceptable and valid since it is extremely easy to manipulate election results in the city. The issue of Kerkuk’s status is potentially explosive for Iraq, and ethnic conflict over the city could spark violent clashes and even a civil war across Iraq, that could eventually lead to disintegration of the country. The Turkmens of Iraq want a free, united and democratic Iraq, where all Iraqis: Arabs, Kurds, Turkmens, Chaldeo-Assyrians and others, live in harmony and peace. They are calling upon the international community and all peace loving people to support the Iraqi people in their struggle to liberate their country from the occupation and to obtain just compensation for all the moral and material damages they have suffered.